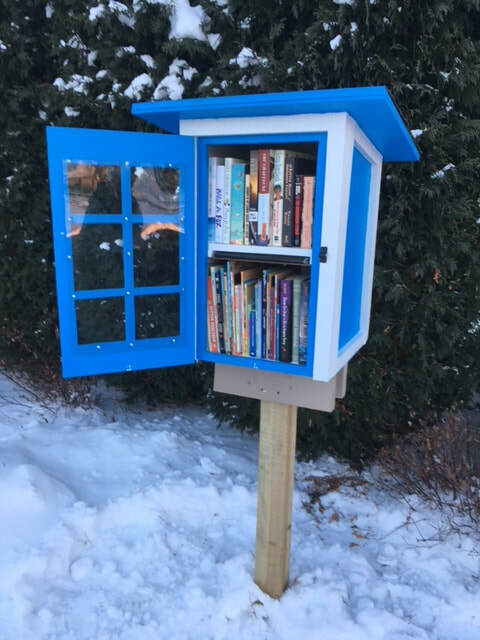 The NFRC wishes to thank the Lockport Rotary again for its generous gift to fund the construction and placement of two Little Free Libraries in Lockport. The first one was installed this week on Washburn Street on the site of the Imagine Community Gardens. The second one is in the process of being built. For the expert construction of both LFLs, sincere gratitude goes to Paul Lyons who gave generously of his time and carpentry talents to benefit this worthwhile community outreach project. The first NFRC's first Little Free Library (LFL) was installed at the Pendelton Town Hall on December 13, 2017. The project leaders were long-time NFRC members Renney Staples and Judy Bradbury. Paul Lyons generously donated his time and carpentry skills to build the LFL. A special thank you to all involved. 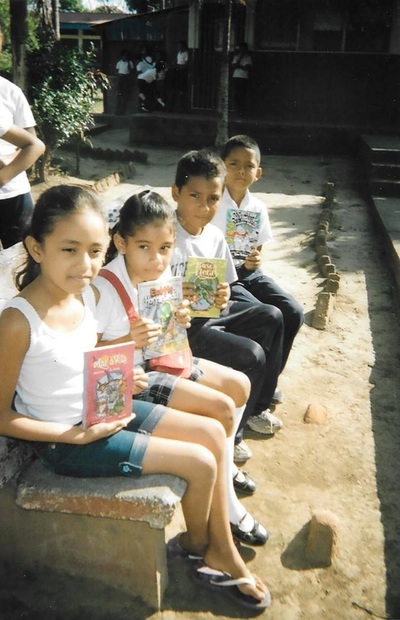 Check out our LFL Outreach page to learn more about this ongoing NFRC Outreach program, or visit the Little Free Library website to learn more about this project! If you're interested in making a donation for materials or if you would like to volunteer your time and build one for the NFRC, please let us know! 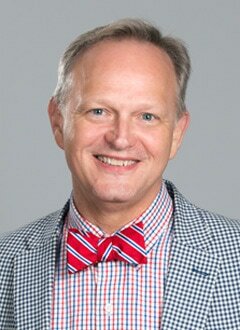 "Writers ARE Readers: Flipping Reading Instruction into Writing Opportunities"
Lester L. Laminack will be discussing his book, Writers ARE Readers: Flipping Reading Instruction into Writing Opportunities, which is the NFRC's Professional Book Study for 2016-2017. Learn more about our book study here! Join us for a book study meeting after the Winter Brunch from 12-1PM. Register for the NFRC Spring Brunch! "Creating a Culture of Readers"
Read More About This Event HERE! Kim Krug and Katleen Scogg, owners of the Monkey See, Monkey Do Bookstore in Clarence, NY are working hard to present the WNY community with the first ever Book Expo. They participated in a grant sponsored by renowned author, James Patterson and received the honor of seed money for a community literacy project. On Saturday, November 14th from 10-3pm, you can participate in the FREE EVENT. The Expo is geared at ages 2-12. Join the festivities...meet over 30 author's and illustrators from the US and Canada...participate in parent workshops...keynote speakers...and MORE. Visit the WNY Children's Book Expo website for a list of events, authors, illustrators and ways to get involved. Mr. Charles Giglio, New York State 2015 Teacher of the Year spoke to the Niagara Fronier Council community of WNY teachers, librarians, and administrators across the K-Higher Education spectrum. His Engaging Presentation on Motivation, Dedication & Caring Intention: Making a Meaningful Difference in the Lives of your Students inspired all present. 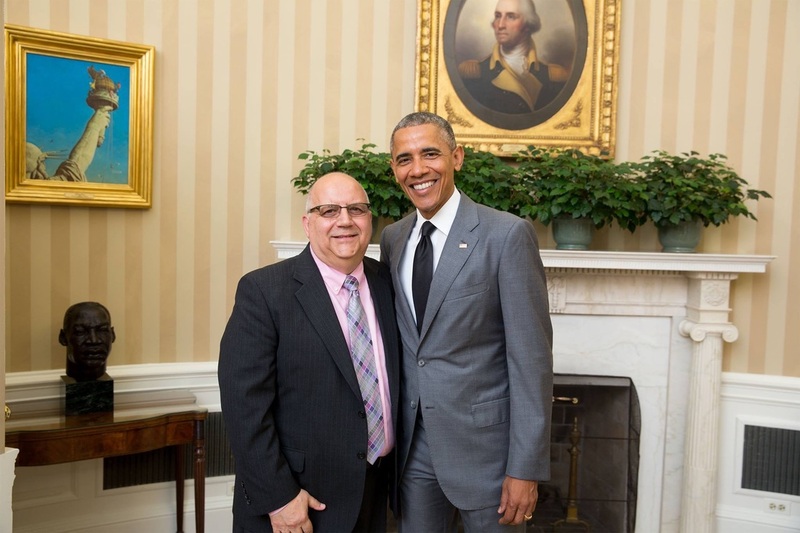 Charlie shared his wonderful stories and messages about the true meaning of education and what it was like to be honored by President Obama. If you have an opportunity to hear Charlie speak, you will be more than impressed! Be the inspiration your students you need you to be. And as Charlie says, "When the student is ready, the teacher will appear." Be there and be ready! 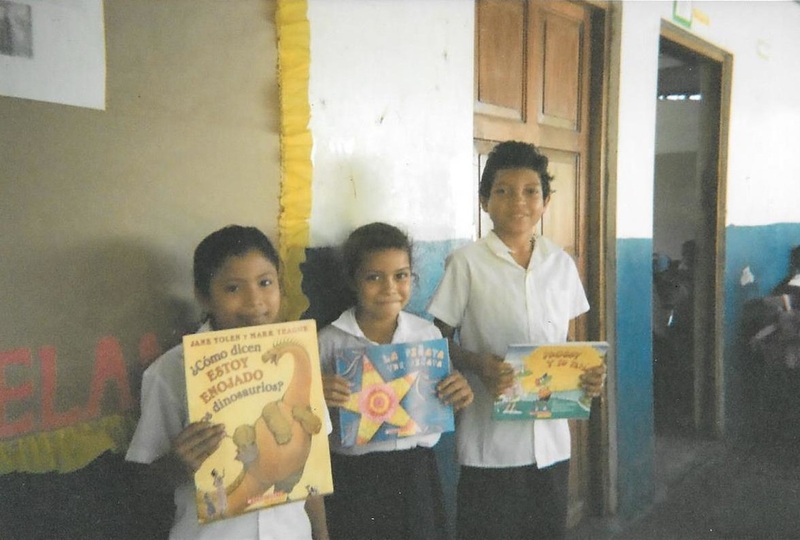 Over the course of the 2014-15 school year, the NFRC collected five boxes of school supplies and three boxes of children’s books written in Spanish for the Nicaragua Mission Project. Thank you to all who donated items or funds in support of this worthwhile international outreach initiative. The NFRC will continue to collect school supplies—both new and used—and Spanish children’s books. Please consider placing boxes to collect used school supplies in your classrooms or hallways at the end of the school year. 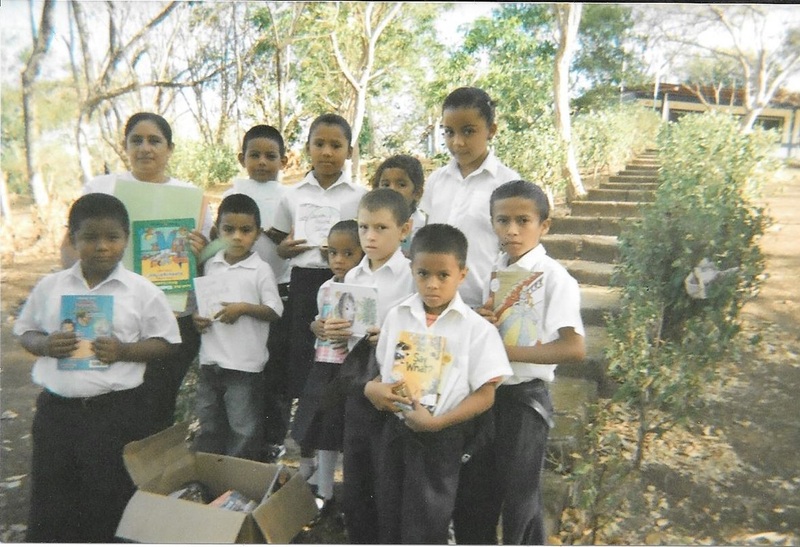 Drop-offs can be made at the Nicaragua Mission Project site at 10100 Transit Road, East Amherst. No appointment is necessary. For more information, please visit the Nicaragua Mission Project website, http://www.projectnica.com/. Save the Date - "Wild About Reading" Book Giveaway at the Buffalo Zoo! ﻿Join us for our annual literacy event at the Buffalo Zoo! We will be giving out free books to children and literacy information to parents! NFRC Fall Mini-Conference 2014 -- Register Today! Join the NFRC in kicking off our Professional Development series for the 2014-2015 school year with our annual fall “Mini-Conference.” Not only will you receive membership in the Niagara Frontier Reading Council and the New York State Reading Association, you also will be treated to insights from Greg Ahlquist, 2013 NYS Teacher of the Year. He will discuss the transformative power of belief and motivate us to face the new school year’s challenges with renewed vigor and enthusiasm! The NFRC Fall Mini-Conference will also include the launching of the second year of the NFRC Professional Book Discussion Group! Your registration fee includes a copy of the book, Falling in Love with Close Reading: Lessons for AnalyzingTexts – and Life. You won’t want to miss this event! 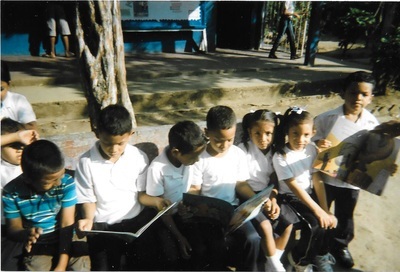 The mission of The Niagara Frontier Reading Council is to promote literacy education, encourage professional development and provide community service that fosters literacy within Western New York. We hope to instill a passion for lifelong learning and to encourage readers to build a vision of the future.